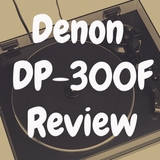 Devoted to Vinyl | Record Player Reviews and Vinyl Discussion! 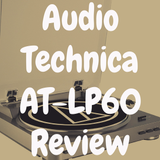 Visit our Turntable Review page to find our record player reviews. 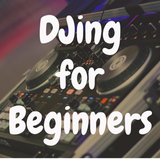 Visit our Getting Started page for guidance on where to begin on our website. 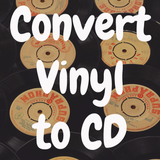 Visit our Vinyl Records page to find the records all collectors must own. 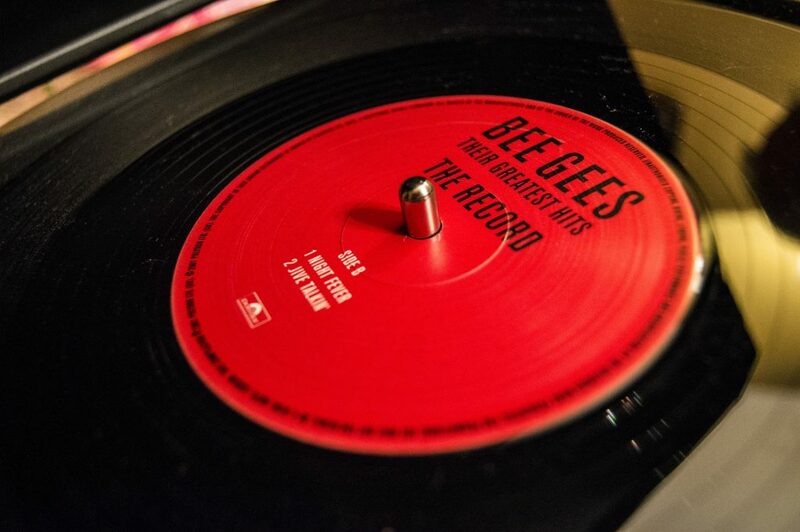 Vinyl records are back big time. And what an encore it is, considering how the popularity of vinyl cratered with the advent of new and handier ways to reproduce music. 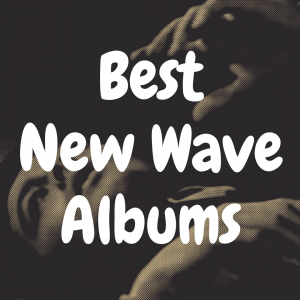 Each advance, from cassettes to compact discs, seemingly put another nail in vinyl’s coffin. But, even as digital downloads began to become all the rage, there was steady and new interest in this very old technology. The reasons are myriad. Records are fun to buy and collect. They require more user involvement. And, yes indeed, they’re cool. 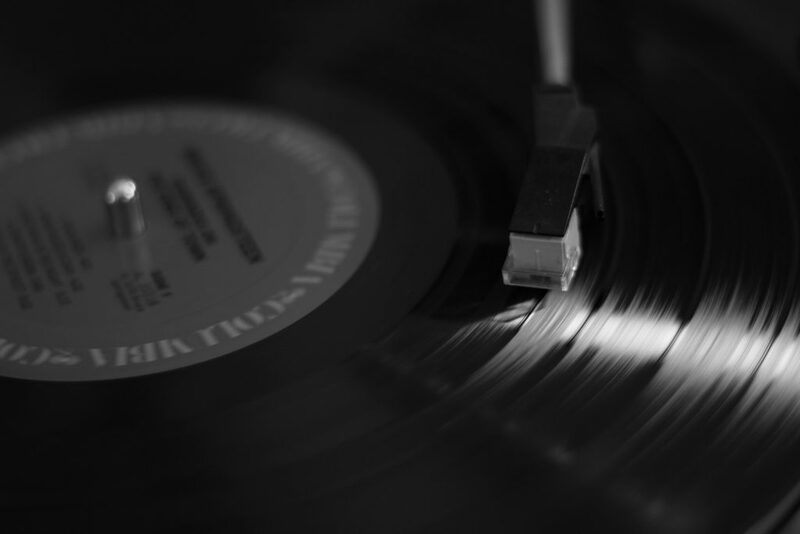 But above and beyond all that, because of compression and other digital recording and mastering techniques, music just sounds better on good ol’ analog records than in other formats. 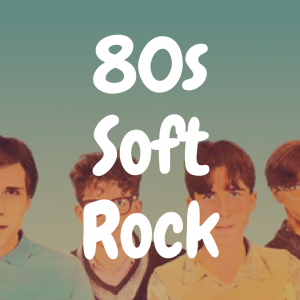 Now don’t get us wrong—there are many splendid-sounding CDs and high-resolution digital files. I, for example, am a big believer in ripping my music collection into AAIF and FLAC formats to my computer to get the best sound quality possible. But our love of music, and specifically our tangible relationship to music, is what’s truly at the core of the vinyl resurgence. So, consider this a hearty welcome (or for the old school music vets, a happy welcome back) to the wonderful world of vinyl! 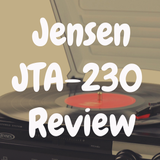 Even if you don’t know turntables from tortellini or vinyl from venison, stick around. 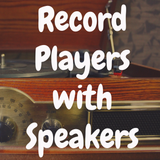 We’ll give you a crash course into how to join the hordes of music fans who are discovering (or rediscovering) the unbridled joy of listening to music on phonograph records. 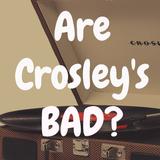 Are Crosley’s Bad? 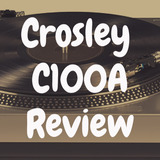 $ N/A Are Crosley’s REALLY That Bad? 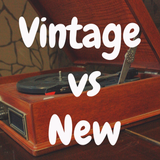 Vintage vs New Turntables $ - $$$ N/A Should You Buy a Vintage or a New Turntable? 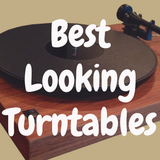 Turntables are extremely simple machines. They spin a record at a uniform speed. 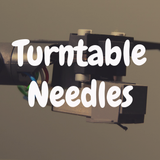 A needle (stylus) picks up embedded vibrations from the record grooves, which are fed to an electromagnetic cartridge that transforms them into electrical signals. 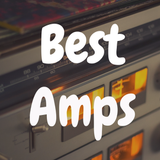 Those signals go to an amplifier that powers loudspeakers or headphones. 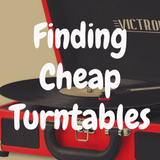 Cheap turntables will indeed play a record, but the sound quality won’t begin to do justice to the glories of vinyl. Spend just a bit more, and the reproduction can improve dramatically. Keep on going, and sonically, the Heavens can seem to open up. Plinth: A plinth is the base and supports everything else. The heftier it is, the better. 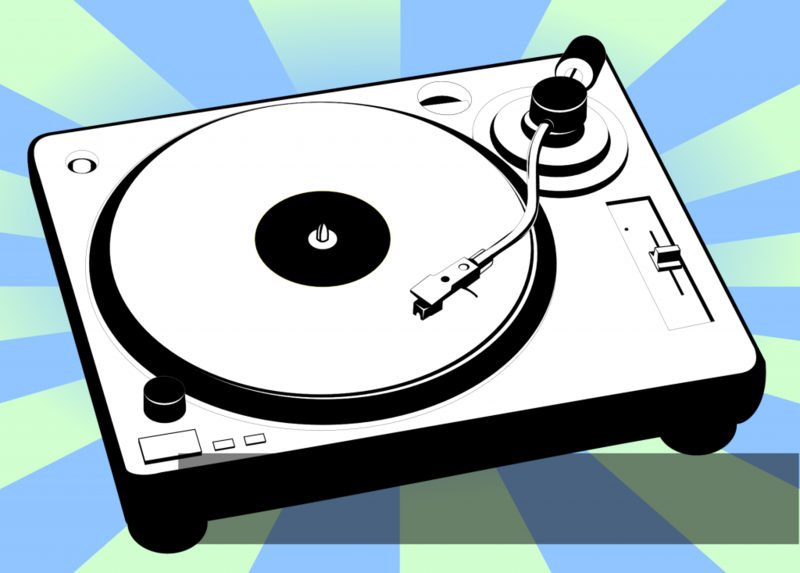 A turntable design should minimize vibrations that can interfere with the music. Plinths made of MDF (medium-density fiberboard) are quite common, although other materials can come into play. Platter: This is what the record actually sits on. The heavier the better, although some people (including myself) like acrylic platters which can be somewhat light. The benefit of an acrylic platter is that it’s supposed to keep static to a minimum, as you don’t need a felt mat to sit in between the platter and the record itself. Just go ahead and place that wax directly onto the acrylic platter, cue up that tonearm, and begin listening to your favorite LP or 7” record. The drive: Turntables can be belt-driven or “direct drive.” Both methods have their strong points. 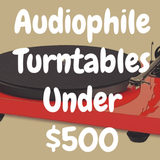 Most audiophile-caliber tables in the low-to-medium price range are belt driven. Hands-on or off? 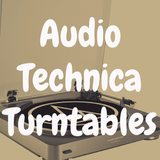 : Turntables can be automatic or manual. 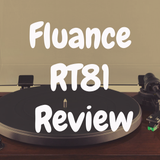 With the former, the machine does most of the work, raising the tonearm and lowering it onto the record, then reversing the process and turning the mechanism off. Manual means just that – these tasks are accomplished by hand. Again, most mid and upper-quality tables these days are manual, although worthy automatic units are available. 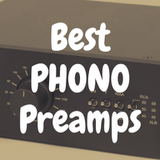 USB and preamp: Don’t have a receiver with a “phono” jack? 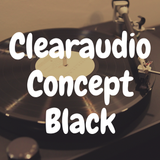 That means it doesn’t have its own preamplifier, and the output from a magnetic cartridge is quite a bit lower than that provided by sound sources like CD or tape. It requires a separate stage of amplification. 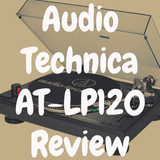 But not to worry—just look for a turntable that has its own built-in preamp, and they’re plentiful. 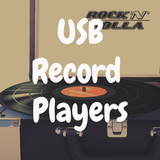 If you think you’ll want to convert your LP tracks to digital files for burning to CDs or playing on an iPod or similar device, look for a table with a “USB” designation. 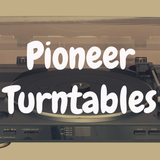 Cartridge: Turntables generally come with a cartridge pre-installed. Some makers keep prices down by including an inexpensive cartridge, but they are usually of acceptable or better quality and can always be replaced later. 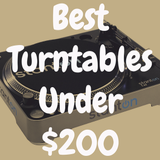 What Turntables Are Worth My Money? 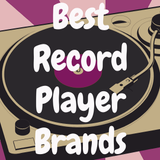 Market forces being what they are, the vinyl renaissance has spurred turntable makers to not only up their production, but to become more competitive than they have ever been before. This, of course, is nirvana for consumers because their dollar can buy more machine than at any time in history. Not only that, there is a wealth of places to buy, both online and (to a lesser degree) at brick and mortar stores around the country and world. 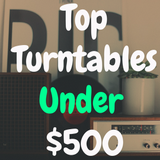 Even below the rock-bottom starting point of $100, there is a wonderful entry table. 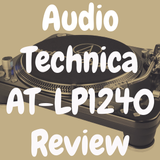 Fully-automatic and belt-driven, the Audio-Technica AT-LP60 is a unit with a sleek, industrial-style look that plays vinyl LP records far better than its paltry price might lead you to believe. This is actually the turntable I started out with a few years ago before I eventually upgraded. 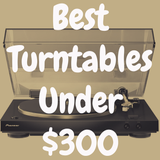 Moving to the next rung, the under-$300 category also has its share of worthy, five-star products. 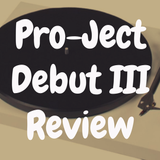 We’d argue that the Pro-ject Debut III, among several others, offers (at $299) an impressive level of design, construction, and playback quality. 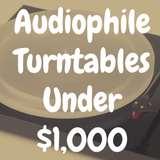 It’s a true audiophile vinyl record player for the money. 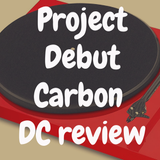 If you can spare a bit more, however, the Pro-Ject Debut Carbon DC at $399 is an excellent choice in the under $500 range—gold stars for build, speed stability and quality of cartridge. 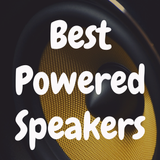 In the sub-$2,000 category, music lovers will find many fine choices and enjoy a more sophisticated level of reproduction—punchier bass, more detailed highs, and an overall more impressive “presence” in the sound. Their speed will be more consistent, they’ll be more noise and vibration-free, and they’ll come with topflight cartridges. In short, more of what records have to offer will be “brought out”—you’ll find that music can sound astoundingly lifelike. 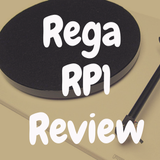 In this price range (under $2,000), you’ll find the likes of the superb Rega RP6 ($1,500 to $2,000, depending on cartridge). Modest and unassuming in appearance, it is an exquisitely precise instrument and one of the finest LP record players at any price. 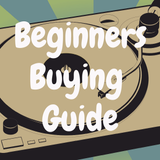 Keep in mind, though, that a big expenditure on a turntable won’t necessarily be completely worthwhile and truly satisfying without investing comparably in your other components. Your table is part of a system, and your amp and speakers figure heavily in how good things will ultimately sound. 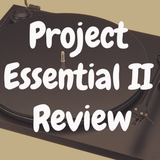 That being said, you needn’t spend an arm and a leg on a turntable-based system that will produce ear-opening sound. When it comes to buying records themselves, the resurgence has opened up a whole host of new outlets. 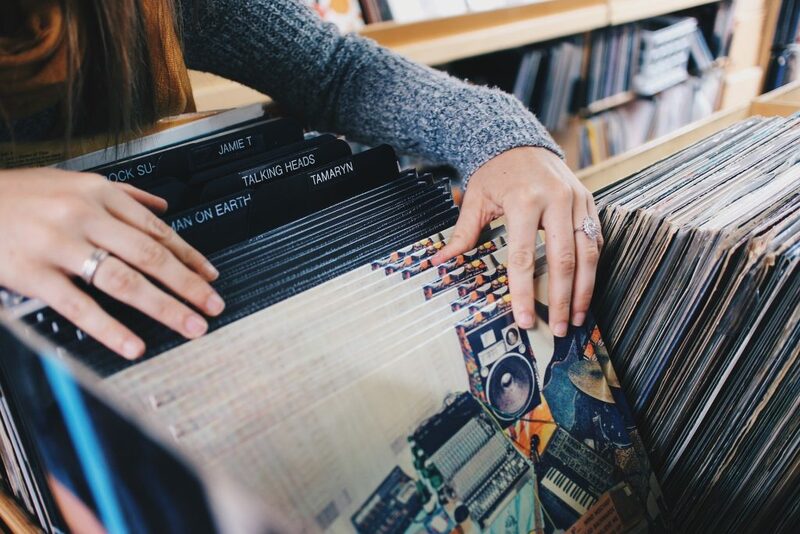 Popular bands and individual artists are actually releasing new music on vinyl, and record stores (both new and used) are popping up everywhere—places where you can actually go and browse. 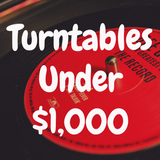 The market for used records has never been busier, and estate sales, yard sales, and thrift stores are still great places to look for bargains. Online, buyers of used vinyl should become familiar with the Goldmine standard, the most common way to evaluate condition and playability. 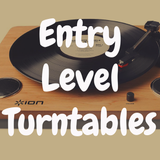 Many vinyl neophytes will be attracted to turntables that basically come out of the box “plug and play.” The cartridge is installed, stylus pressure is set, the arm is balanced, and so forth. But not all are so easy; more expensive and sophisticated models require additional setup and adjustment. Don’t be daunted. It isn’t that hard, and most tables come with truly intelligible directions. The good news is that you can’t mess up too much; any mistakes will be readily apparent when you play your first record. 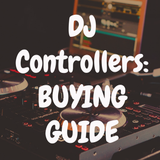 But, if you’re concerned, find the most ready-to-play model within your price range. Vinyl fans have naturally become accustomed to a few ticks and pops on playback, even on brand-new records. But the noise doesn’t have to be excessive. Simple, routine care usually does the trick, but for truly dirty records, there are many great cleaning solutions. 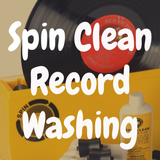 We recommend the Spin-Clean Record Washer ($75), an all-manual, fluid-and-brush cleaning system. If you feel the need for a unit that turns the record during cleaning and vacuums up used fluid, then go for The Okki Nokki RCM Record Cleaning Machine ($499). 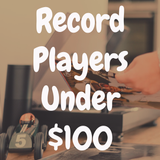 If you already have an LP collection or plan on starting one (they mount up fast! ), you’ll need a place to store them. Regardless of where the albums lie, remember that they should be stored vertically (ideal). In fact, storing your records flat with one record stacked on top of the next is a big, big “no-no.” Stacked vinyl gets very heavy, and that can cause not only wear and tear on your album cover, but can eventually force your vinyl records to warp or crack and become unplayable. Frankly, we have most of our LP’s in plain wooden boxes. Apple crates, for instance, are very old-school and quite inexpensive, and can be painted or lacquered to taste, adding an interesting flair to a lot of decors. We also like the natural-wood look of the Atlantic Record Crate Shelf ($22), which stores up to 50 platters. Personally, I like to store my vinyl records in 13-15” wide ottomans. That way, they fit snugly into a protective piece of furniture that can sit in the middle of the room and fit in perfectly with the home’s decor. 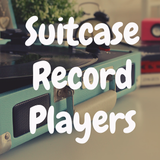 There are also plenty of suitcase-style portable solutions, like the Crosley Record Carrier Case ($58) or the GPO Portable Carry Case (which is sized for 12” LP’s or 7” 45 records and also comes in a variety of colors from baby blue to black). When it comes to actual furniture, the sky’s the limit, but one very attractive item is the Crosley Bardstown Entertainment Cabinet (just under $100), finished in gorgeous paprika. Also, feel free to be creative. Head over to IKEA and see what they have when it comes to LP storage options (or unique furniture that could store your LP’s). Consider making a purchase on Etsy (which can often require the seller to build you a custom holder per your specifications). 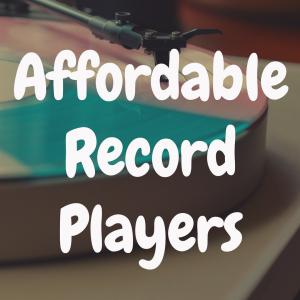 You could even think about buying a vintage record holder from the 50s, 60s or 70s for a bargain on eBay. 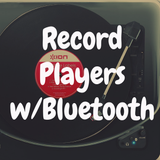 While we’re undoubtedly in an era of “music on the go,” there’s a certain (and quite ritualistic) s-lo-w-n-e-s-s when it comes to the actual process of playing a record. No simple button pressing here. This is a deliberate, calculated act that requires certain essential steps. First, let’s talk about the records themselves. Watch out for different sizes and speeds. “Long playing records” usually (not always) rotate at a speed of 33 1/3 revolutions per minute (RPM). Most are 12 inches in diameter, but some are 10 inches. What used to be called “singles” play at 45 RPM and have a larger hole in the middle and require an adaptor. 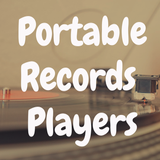 (There are also 12-inch “singles.”) Older, shellac records play at 78 RPM (few turntables offer this speed). If that sounds too complicated, remember that the vast majority of today’s records are 12-inch LPs spinning at 33 1/3. Some, however, are thicker than others. Many new, premium pressings weigh 180 or even 200 grams, considerably thicker than the standard 120 to 150 grams. 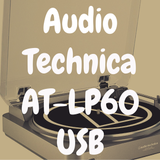 Thicker vinyl is less prone to warping, and some also claim sonic improvements. Most records are black, but some are red, white, blue, green, or clear, and yet others even have pictures on the playing surface (these are referred to as “picture discs” and are sought after by those that are interested in their vinyl doubling as a piece of art—although the audio quality can sometimes be inferior). 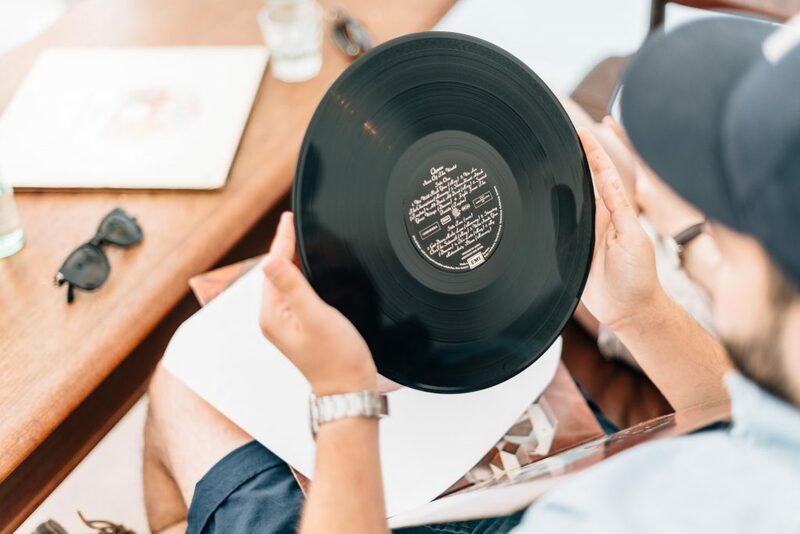 Regardless of type, gently remove the record from its jacket and inner sleeve, using your palm to make sure those greasy fingertips are not contacting the playing surface. You might choose to clean the record at this point; in most cases, use of a carbon-fiber brush or microfiber cloth should do the trick. Also make sure that the stylus is clean; a soft paintbrush is perfect for this. Select the proper speed. This is usually done with a button or switch, but many belt-drive tables require moving the belt to a different notch. Place the record on the turntable platter so that the spindle fits through the hole in the middle of the record. 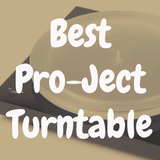 If it’s a fully automatic turntable, what comes next is easy—with a button or switch, turn the machine on. The platter will automatically start turning, and the tonearm will be lifted and the stylus set down just before the first groove. At the end of the side, the process will be reversed. With a manual table, you must start the motor and use a cueing lever to raise the arm. Your hand then guides the arm to the correct location, and the lever is used to lower it. At the end of the side, you must raise the arm, return it to its rest, and shut off the machine. Background music is fine as far as it goes, but many “vinylphiles” say that listening to records often demands rapt attention. 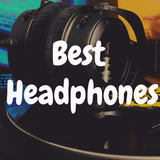 They tend to sit and really listen because they’re often taken aback by how much better their favorite music sounds in analog form—even tunes and pieces that they’ve heard hundreds of times. They say that music on MP3 or CD often sounds somehow less “human” than on vinyl, pesky pops and all. 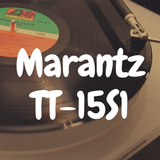 Adjectives like “warm” and “real” are frequently used when describing vinyl sound. Digital music can sound cold, clinical, and even harsh—more like it’s being made by a computer than by instruments and voices. This certainly isn’t true of all digital reproduction, and there’s surely a place for all formats. 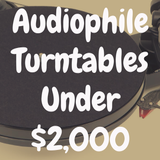 You won’t be taking your new turntable to the gym or on that brisk bike ride. But sitting back and hearing familiar music on records can be like experiencing it on a whole new level—and for the very first time. We hope that you enjoyed reading this, but don’t go yet—we’re just getting started! 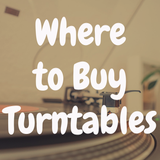 Feel free to poke around our website, as we have turntable reviews, recommendations when it comes to buying new and used vinyl records (and record players), and even up-to-date news stories on the vinyl record industry boom. 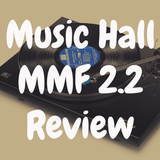 Once again, thank you for visiting Devoted to Vinyl, your number one online destination for in-depth vinyl conversation and record player reviews!